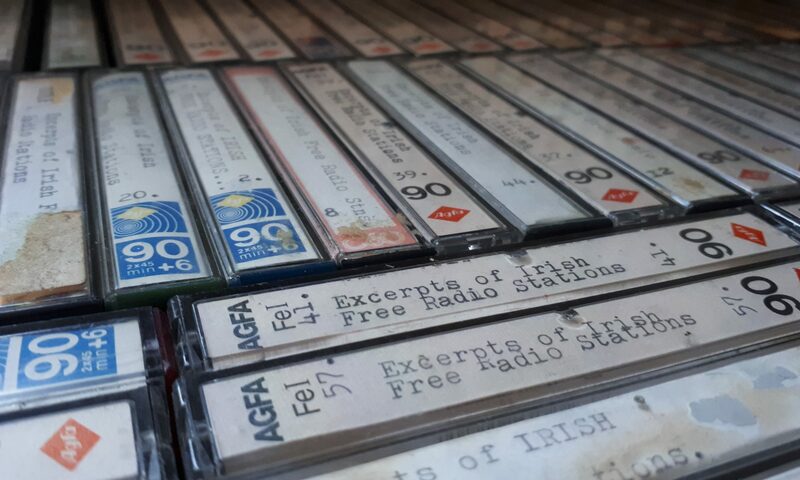 Dublin had a number of Catholic pirate radio stations during the 1980s. The Irish Christian Broadcasting Service (ICBS) broadcast mostly pre-recorded programmes on 1071 and later 981 kHz from Chapelizod from west Dublin. A more conservative outfit was Christian Community Radio operated by Catholic solicitor Gerry O’Mahony from Merrion Square in Dublin 2. O’Mahony was a leading campaigner against the liberalisation of Irish society in the 1980s and used his station to oppose gay rights, abortion and divorce. In 2008 he was banned by the Archbishop of Dublin from distributing leaflets in churches as part of a ‘prayer crusade’ against the Lisbon Treaty being debated at the time. Mr O’Mahony died that year aged 90. Christian Community Radio is listed on 1512 kHz AM and 90.2 FM by Anoraks Ireland in November 1986. By July 1987, it was on 90.2 only. Sound quality and production standards were poor, the programmes consisting mostly of recordings of prayers and masses. The proximity of the Christian Community Radio frequency to a BBC Radio 1/2 transmitter on 90.1 MHz from Belfast prompted complaints from listeners and brought greater notoriety to the station. In October 1987 Gerry O’Mahony was interviewed on Ireland’s most-listened to radio programme, the Gay Byrne Show on RTÉ. He argued that the BBC signal was freak reception and even claimed brazenly that he had been licensed to broadcast. We’re not sure when Christian Community Radio closed down but there is no mention of the station in Anoraks Ireland lists from early 1988 and it is possible that the nationwide publicity provided by Gay Byrne could have sounded its death knell.